Epona Rise Retreat Centre is a space that inspires. Our 80 acre facility which includes eight guest cabins and a stunning guest lodge, caters to those looking for a magnificent natural environment in which to host their event. 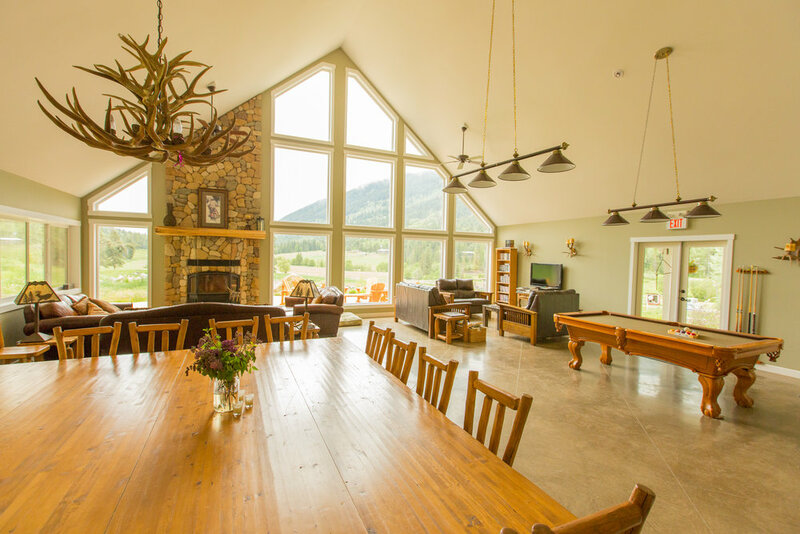 Our facility is also available for women's retreats and leadership development experiences in partnership with our herd of 24 horses led by our founder and CEO Hillary Schneider. Visit Hillary’s site to learn more about her journey, retreat dates, and meet the very special horses that provide so much energy and inspiration to those that spend time with them. 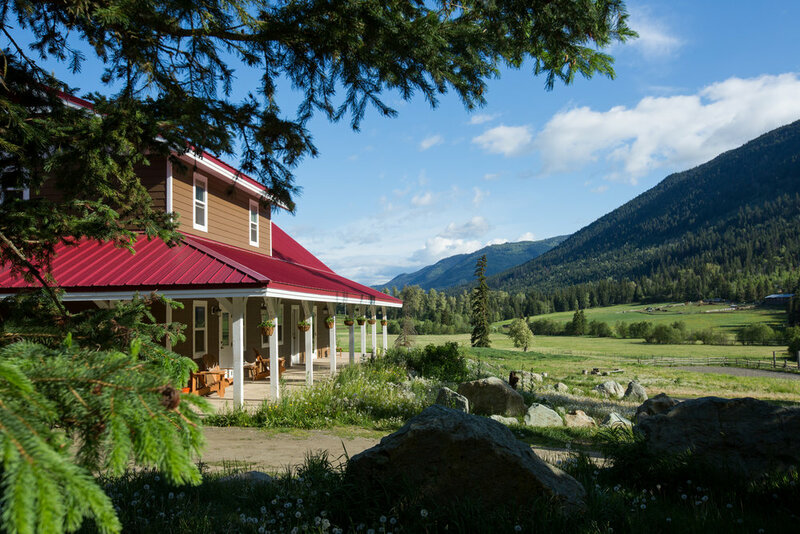 Situated in a majestic mountain valley located 15 minutes from Sun Peaks Mountain Resort, our facility’s incredible natural views makes it a beautiful place to unwind and hold your special event. Our facility includes eight cabins, each containing an ensuite bathroom, a small fridge and coffee maker. If your group exceeds 26 people, we can provide extra sleeping arrangements upon request. A key feature of Epona Rise is our magnificent guest lodge, that boasts floor to ceiling picture windows that look out onto the valley, a beautifully wrought pine table that seats up to 26, a fully-equipped, industrial-sized kitchen, a pool table, cable television, bookshelves filled with books and DVDS, and two fireplaces. Our guests are also welcome to enjoy the lodge’s stunning outdoor deck, and make use of our fire pit, assuming there is no fire ban in place. 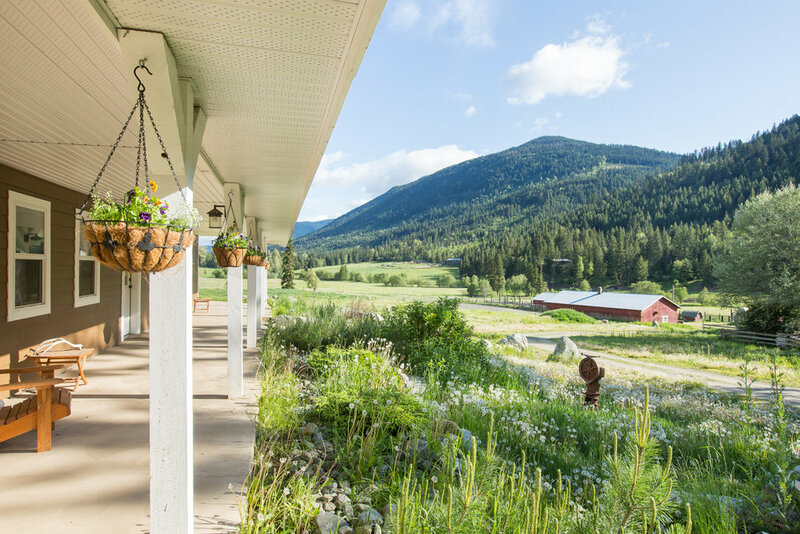 Epona Rise Retreat Centre is the perfect vacation spot for those looking to “unplug” from the stress of daily life, while enjoying good company and the beauty of nature. The equine experience is a powerful and unique element to our retreat center, and one that we believe creates a lasting impact. Along with our herd of truly dedicated four-legged teachers, we offer custom equine experiences for those that are looking to add a highly transformational edge to their retreat.